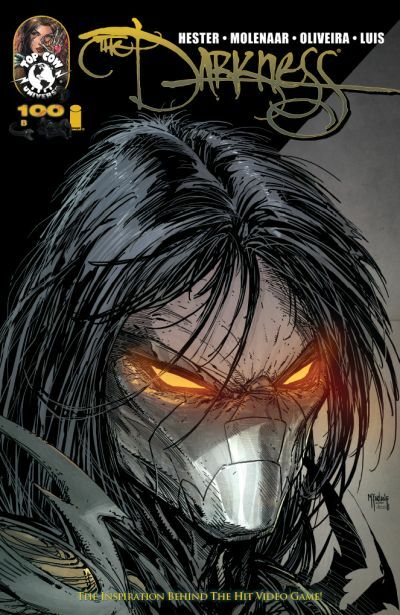 Top Cow Productions and Image Comics proudly announced today that Darkness 100, the landmark anniversary issue, will land in stores February 29th, 2012. The over-sized 100th issue follows hot on the heels of the release of The Darkness II video game from 2K Games and Digital Extremes. Long time writer PHIL HESTER (Wonder Woman, Green Hornet) concludes his epic run on the series with artists ROMANO MOLENAAR (THE DARKNESS II : CONFESSION), LEANDRO OLIVEIRA (Superman), and JOSE LUIS (PILOT SEASON: SERAPH). 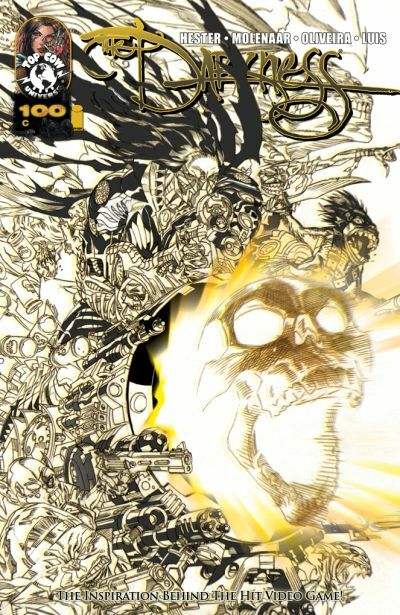 The landmark 100th issue will set the stage for David Hine (THE DARKNESS: FOUR HORSEMEN, BULLETPROOF COFFIN) and Jeremy Haun (ARTIFACTS, DETECTIVE COMICS) as they bring THE DARKNESS into Top Cow’s REBIRTH initiative. 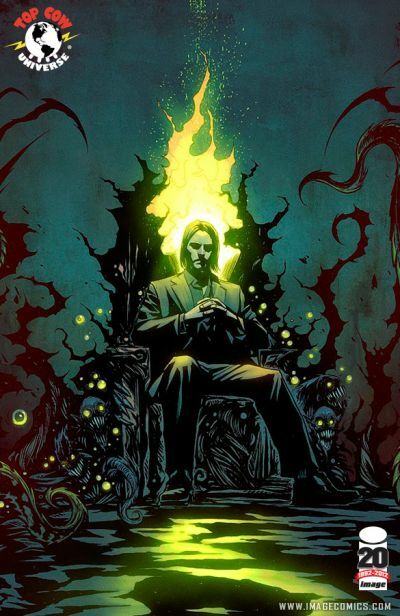 As Darkness bearer, Jackie Estacado is on a collision course with the source of his power and misery - the Darkness itself! 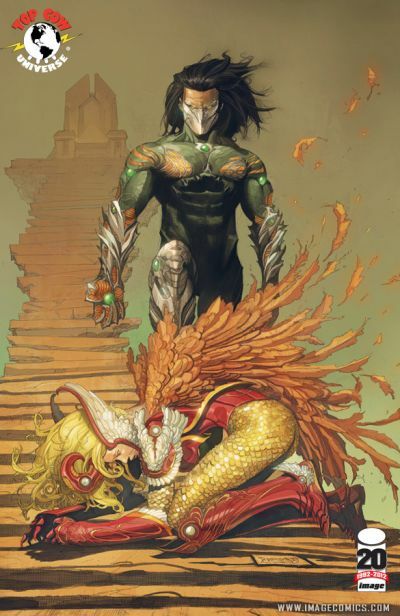 Estacado has traveled through numerous levels of the Darkness’ home dimension in his quest to confront his patron, all the while the Darkness has sought to bind him, distract him and prevent him from reaching it. Now only one of them will walk away from this momentous battle that has been building for years! Featuring covers by Image luminaries TODD McFARLANE (SPAWN) and MICHAEL GOLDEN (The â€˜Nam, SPAWN), alongside THE DARKNESS series artists JEREMY HAUN (Detective Comics) and MICHAEL BROUSSARD (ARTIFACTS). The over-sized 48-page The Darkness #100 issue will be on sale in stores and digital platforms on March 21st, 2012 and will carry a cover price of $4.99. To commemorate this achievement, the issue will also feature a complete series cover gallery, a Darkness timeline, the winners of the Darkness II deviantART contest and a special preview of Darkness #101.